Held every year since 1997 in Holy Saviour Church, the Festival is believed to be the oldest established Christmas Tree Festival in Britain. Around 50 trees are displayed, each decorated by an individual, school, family, local group or business to illustrate a theme of their choice. The effect in this beautiful Butterfield church is magical. Live music is featured throughout the weekend, and hot and cold lunches and teas are served in the adjacent hall. The Festival opens with a special preview and concert on the Friday night, and closes with a service of thanksgiving on the Sunday night. We expect to welcome over 2,000 visitors over the Festival weekend. 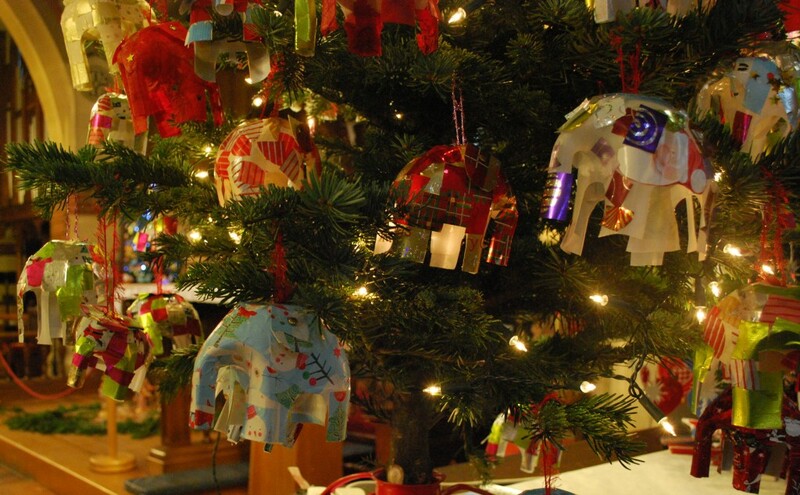 The Festival’s aims are to welcome visitors to Holy Saviour Church, delight them with the beauty and variety of the trees on display, entertain them with music and refresh them with delicious food and drink, also to raise money for charities and church work. Would you like to take part or decorate a tree? If so please let us know through our Contact page. For current information, visit our dedicated Facebook page.